The lights are dim, but the stage glows. It’s a simple set: two individuals with acoustic guitars, not an uncommon sight in Austin, but the chemistry that sparks sets them apart. Miranda Dawn and Chris Hawkes laugh, joke and tease each other with ease–putting on a fine show along the way. Throughout the concert, they share their creative process with the audience, providing backstory for tunes and lyrics. Inspiration seems drawn from everywhere: sunsets, literature, creepy vans and possessive ex-girlfriends. Most of the set is composed of their originals, with a Springsteen cover thrown in for good measure. I’ve always envied those who grew up in a musical family. Recently, sitting under the roof of Strange Brew, I found a crowd spanning generations. The cozy setting and the duo we had all come to see exuded a comforting vibe usually reserved for the home. This was my ticket to the impromptu family jam I’d always imagined. 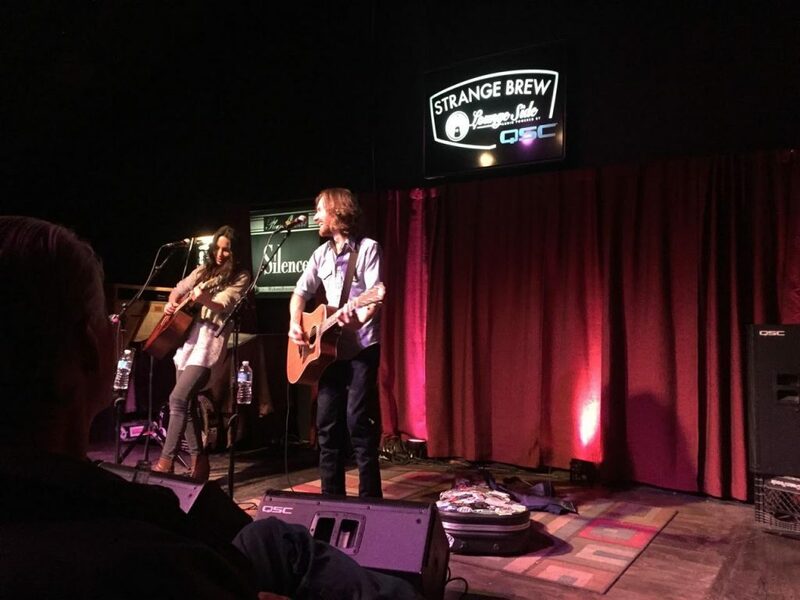 Months prior to the Strange Brew show, I interviewed the couple over coffee at NeWorlDeli. Dawn and Hawkes clearly enjoy each other’s company, but each also brings rich background, experience and talent to the partnership. Dawn is an Austin original. Having grown up amid the Austin music scene, she followed her father about as he performed around town. She beams with pride, recalling the day he surprised her by gifting his 70’s wood-grain Gibson guitar that now accompanies her on tour. Hawkes hails from North Texas, also benefiting from a musical family known to perform for audiences, though not on stage, but in classrooms. His bloodline chose academia as their outlet for sharing musical knowledge; many family members are teachers or professors. Dawn and Hawkes are proud of what the other has accomplished. Individually, they’ve been successful. But collectively, they amplify everything good in the other–a perfect example of the whole being greater than the sum of the parts. If you’re unable to make one of their upcoming shows, take a peek at the video, “A Catch”, shot by their good friend Jeff Arnold. What started as a bit of harmonizing on the front porch evolved into one of those surreal moments when all the right people are in the right place at the right time. With the outline of Dawn singing from the shadows, it’s apparent by his gaze that Hawkes is enthralled by her presence. The video beautifully pulls the viewer in, delicately verging on the voyeuristic. The viewer is struck by the intimacy. Watching these two love birds serenade one another almost feels like an intrusion on their privacy. But you watch anyway because in a cynical age you’re elated, reassured and hopeful to see the act of falling in love hasn’t been discarded like the rotary phone and typewriter. Dawn and Hawkes are doing well. Their love and lyrics continue to flourish. They’re currently touring in support of their new full-length album, “Yours and Mine.” Their 2014 performance on popular talent show, “The Voice,” captured attention and the I-want-you button of multiple judges, including Adam Levine who exclaimed their performance was his favorite on the show! The resulting run had them crisscrossing the country. In the midst of it all, they somehow found time to make their collaboration official by tying the knot. Taking it to 11, one of Hawkes’ compositions has topped the charts in Scandinavia, where the couple has also toured together. Dawn and Hawkes may call Austin home, but the world is taking notice. 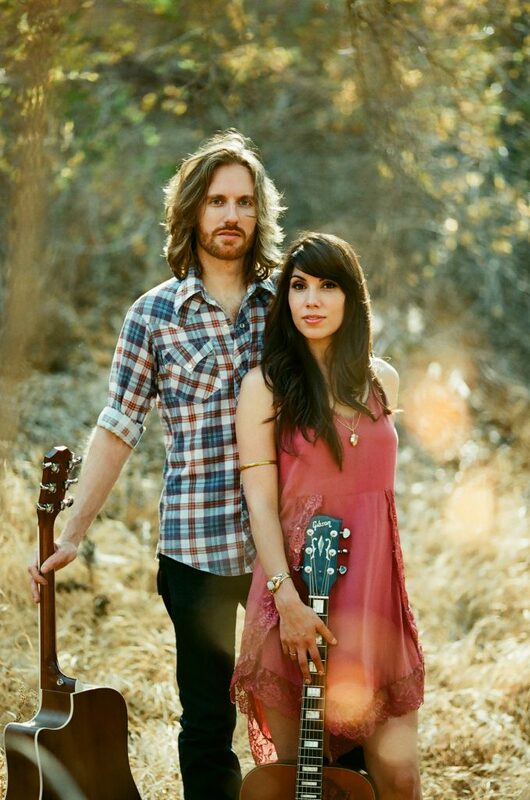 Have you seen Dawn and Hawkes perform live?